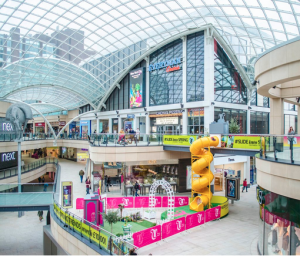 Now being installed for its second year, visitors to Trinity Leeds Shopping Centre can have a seriously swift ride. 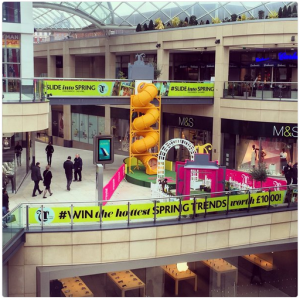 In 2016 it formed the centrepiece of the Slide into Spring promotion and drew plenty of attention and visitors. The 30ft helterskelter delivers visitors from the balcony to the level below in record time. It was such a sucess they have created a summer event called Club Trinity. 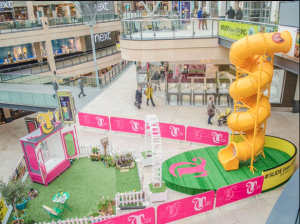 The slide forms the focus for a whole series of promotionla events.